Google has refused to comply with a French request to scrub some search results from its global index. The row has blown up over the "right to be forgotten" ruling that lets people request that some webpages be removed from results. This only applied in Europe but in June France's data regulator told Google to remove results seen by everyone. Google declined and asked the regulator to drop the case. It refused and is now considering punishing the firm. The "right to be forgotten" ruling was passed by the European Union's Court of Justice (ECJ) in May last year. Since then, Google is believed to have handled more than 320,000 requests to remove data from its search index. Around 40% of all requests are granted. In June, the French data protection authority, CNIL, told Google to extend this data scrubbing to all the sites through which people can search its indices. Its decision came after a panel of European data protection watchdogs said Google should remove data more widely. It said the step was needed because data unavailable to European searchers was still discoverable via other Google domains that were accessible from Europe. CNIL added that it was not trying to impose its view globally but instead just wanted Google to fully observe the scope of the European legislation. Now CNIL has thrown out Google's request for it to drop this demand. "The President of the CNIL rejects Google's informal appeal against the formal notice requesting it to apply delisting on all of the search engine's domain names," it said in a statement. 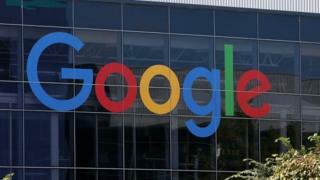 CNIL said Google should comply immediately or face fines of up to 300,000 euros (£217,000). The regulator is now appointing an investigator who will report back on appropriate sanctions. In response, Google said it had "thoughtfully and comprehensively" applied the ECJ ruling across its European sites and would continue to do so. "But as a matter of principle, we respectfully disagree with the idea that a single national Data Protection Authority should determine which webpages people in other countries can access via search engines," it said in a statement.